Larry Marano/Getty Images ….Jeff Skiles poses in the cockpit of a 1958 DC7 on November 17, 2011 in Miami, Florida. When people think of the emergency plane landing into the Hudson River known as the “Miracle on the Hudson”, people usually think of Chesley “Sully” Sullenberger — the pilot of US Airways Flight 1549. But Captain Sully didn’t land the plane on the Hudson River in New York City alone. 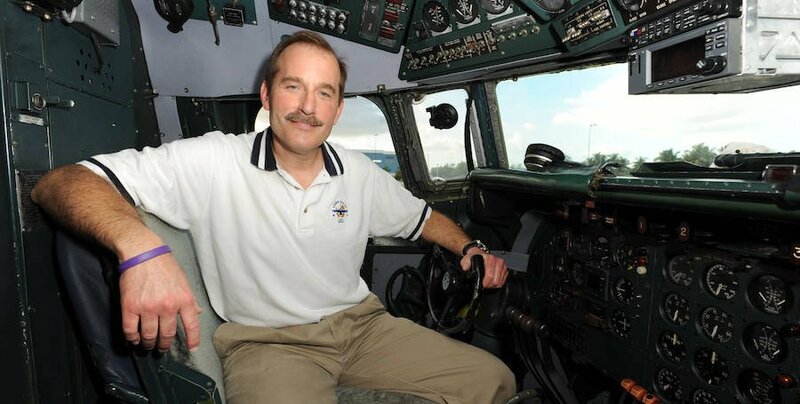 There was another man responsible for bringing the passengers of flight 1549 to safety: Sully’s co-pilot, Jeff Skiles. Skiles is the son of two pilots and started flying at the age of 16. With more than 21,000 hours logged in the sky and 30 years experience as a U.S. Airways pilot, Skiles’ ability to bring the plane to safety wasn’t just in his training, it was in his blood. This was Skiles’ second time flying an Airbus A320, which would be en route from LaGuardia Airport in New York City to Seattle. “I’d never flown with anybody [in Flight 1549’s crew] until I’d met them that Monday [three days before the accident],” Skiles reported. 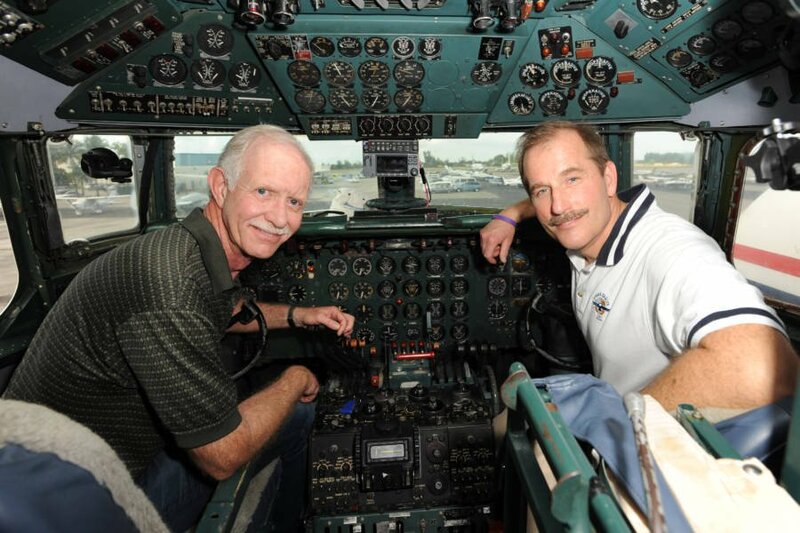 Larry Marano/Getty ImagesCaptain “Sully” Sullenberger and co-pilot Jeff Skiles pose in the cockpit of a 1958 DC7. So on Jan. 15, 2009, Sullenberger and Skiles took off from LaGuardia Airport in New York City, headed down to Charlotte, North Carolina for a stopover before continuing to Seattle which was the flight’s final destination. Only a few minutes after takeoff, the plane struck a flock of geese at an altitude of 2,818 feet, causing both engines to fail. 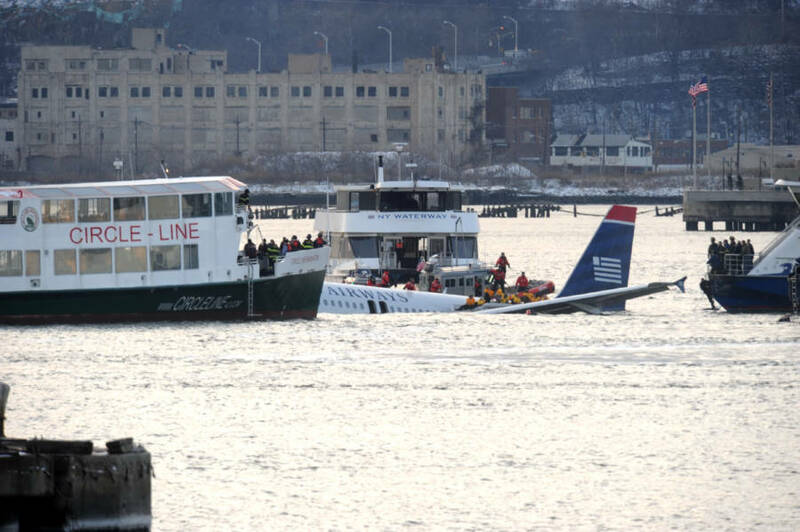 With both engines shut down, Captain Sullenberger ultimately decided to make an emergency landing on the Hudson River. While Captain Sully focused on this, Skiles took all the necessary measures in order to try to complete an engine restart. For pilots, there is a myriad of procedures at their disposal in the event of an emergency. Skiles, therefore, consulted their QRH or Quick Reference Handbook thatoutlined procedures for restarting the engines in the event of a failure. Unfortunately, the procedure is meant to be done at a significantly higher altitude, like 20-30,000 feet, and so by the time Skiles would get through the first page of references, the plane would already be in the water. Skiles would have to rely on his lifetime experiences and intense training preparation to save the passengers of US Airways Flight 1549. John Roca/NY Daily News Archive via Getty Images US Airways Flight 1549 in the Hudson River. Rescue crews surround the US Airways plane where passengers can be seen being rescued. Following the “Miracle on the Hudson,” Skiles switched career gears. In 2010, he and Sullenberger began co-chairing the Experimental Aircraft Association’s (EAA) Young Eagles program, which aims to get young people interested in aviation. Two years later, Jeff Skiles was named Vice President of Chapters and Youth Organizations for the EAA, at which point he announced his retirement from flying. Skiles uses his role in the “Miracle on the Hudson” landing to make speeches on crisis management and overcoming adversity in business at conferences nationwide. He’s represented by Leading Authorities, an agency that specializes in various types of speakers. According to his representatives, Skiles makes anywhere from $10,000 to $20,000 for each speech. In addition to his speeches, Skiles also writes a monthly column for Sport Aviation magazine and has done so since 2011. But Jeff Skiles’ “retirement” from flying didn’t last long. He left the EAA and now flies international flights for American Airlines. There’s a chance that you may have flown with one of the “Miracle on the Hudson” pilots if you’ve flown overseas with American recently. The story of the “Miracle on the Hudson” was made into a big-budget biopic called Sully starring Tom Hanks as Captain Sully and Aaron Eckhart as Jeff Skiles. Obviously, much of the film focused on Captain Sully., but Skiles’ role wasn’t left out from the movie by any means. Eckhart talked to both Sullenberger and Skiles in preparation for the role. Skiles and Eckhart specifically spoke about the disparity between how much fame he received compared to his captain. “Jeff and I talked about this, and he said he realized that there has to be a face to the story — that the media is going to pick out a hero and Sully was that guy. Sully was the captain of the flight and Jeff came to terms with that and receded into the background,” said Eckhart. Eckhart also made sure to note that Skiles and Sullenberger are still friends to this day, despite Captain Sully being the more recognizable face of the two. The crew and passengers also have organized meetups in the past to commemorate the day their flight landed safely on the Hudson River. Skiles also appeared on David Letterman and other talk shows alongside Captain Sully to recount how they landed the plane and the decision-making process that led them to land on the Hudson river.